Blade Runner 2049 takes place 30 years after the events of the first film. 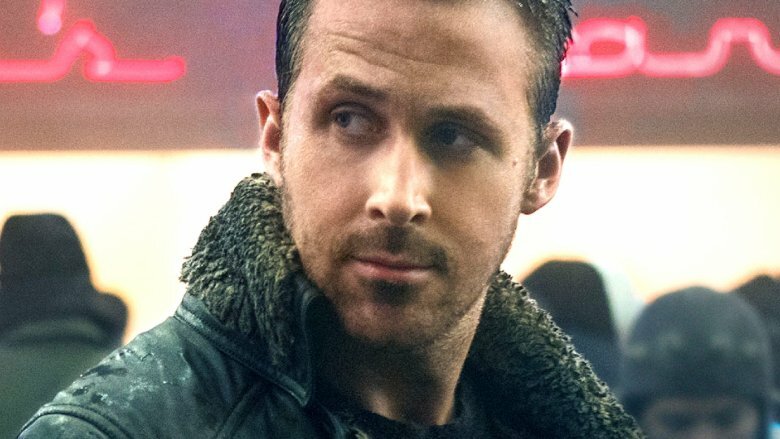 The movie focuses on a new LAPD blade runner in Officer K (Ryan Gosling), who unearths a long-buried secret that has the potential to plunge what is left of society into chaos. K's discovery leads him on a quest to find former LAPD blade runner Rick Deckard (Harrison Ford), who has been missing for the last three decades. The original Blade Runner didn't make a huge box office splash when it hit theaters in 1982. The film had a $6.15 million opening weekend and eventually went on to make $32.87 million total, something which the sequel should easily surpass in its opener. (via Box Office Mojo) The sequel is being helped by quite a lot of added buzz thanks to some stellar reviews, with some critics calling it even better than the original. In addition to the $45 million plus 2049 it is expected to bring in domestically, the film is tracking to make somewhere in the mid-$50 million range internationally, for a worldwide total of over $100 million in its opening weekend. These domestic numbers put it solidly in the same range as some other modern reboots of popular 1970s and 1980s properties, including Mad Max: Fury Road ($45.4 million domestic opening weekend), Tron: Legacy ($44 million domestic opening weekend), and Prometheus ($51 million domestic opening weekend). Blade Runner 2049 doesn't have much box office competition this weekend. The other new wide releases include Idris Elba and Kate Winslet's The Mountain Between Us, which brought in $400,000 in previews, and the animated My Little Pony, which pulled in $290,000. The rest of the top five for the weekend will likely be filled out with some familiar performers, including Tom Cruise's American Made, Kingsman: The Golden Circle, and the record-breaking It. Denis Villeneuve (Arrival) steps behind the camera for the R-rated sequel, which is based on a script from the original film's Hampton Fancher and Murder on the Orient Express' Michael Green. Jared Leto, Ana de Armas, Robin Wright, Dave Bautista, David Dastmalchian, Mackenzie Davis, Edward James Olmos, Carla Juri, and Barkhad Abdi also star.